In 1993, as Grunge was beginning to fade a little, Green Apple Quick Step (presumably named after The Byrds song of the same name) released their debut album ‘Wonderful Virus’. It achieved moderate success, but musically its post-grunge approach was a little dull aside from a couple of tracks. In 1995, they released their second album, ‘Reloaded’, produced by Pearl Jam’s Stone Gossard. 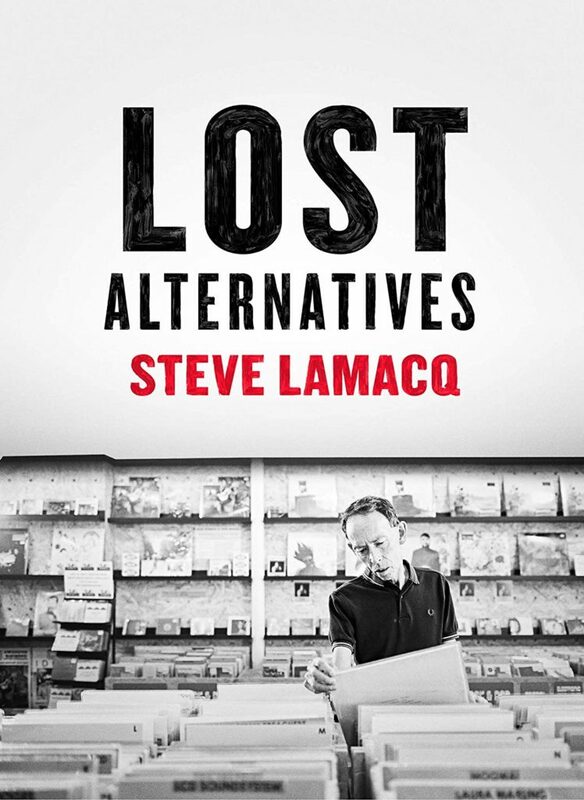 Somewhere between the two albums, the bands songwriting moved away from their grungy earlier style and introduced a few more power pop influences. The variety of styles on this second album came as a huge surprise after ‘Wonderful Virus’ and as a result, ‘Reloaded’ became an album which was rarely far from my CD player for the next couple of years. The album finds GAQS stretching out and experimenting; a handful of tracks are fantastic and some of the musical ideas are interesting. Naturally, a couple of tracks miss the mark, but generally speaking, the fact that ‘Reloaded’ is a world away from the safe and formulaic nature of their debut should be applauded. Things begin slowly with ‘Hotel Wisconsin’, a largely instrumental track. There’s plenty of atmosphere here with the organ sounds and reverbed guitars. It’s a far cry from the GAQS you knew from previously. 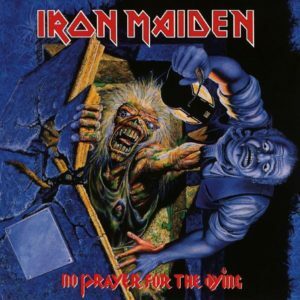 The rhythmic pattern of the song never shifts far from Ty Willman’s organ, to the point where most of the lead guitar work is very low in the mix. It’s an interesting start to the album, incorporating a lot of moods you’d be unlikely to associate with a Seattle based band (except for maybe Screaming Trees). They change musical stance for the next couple of tracks: ‘Ed #5’ is a slab of fuzzy retro rock, heavy on the pedals and phasers and during the punky-edged ‘No Favors’, bassist Mari Ann Braden takes lead vocals for a track which has more in common with early L7 and Hole than GAQS’s more usual post-grunge and power pop. As a stand-alone track, its attitude and energy work very well, but as part of ‘Reloaded’ it feels very misplaced. At three songs in, you may be forgiven for thinking this is a little directionless. After all, at this point, you’d be right…but you’ve got to give them credit for trying new things. ‘T.V. Girl’ offers the first truly great moment from ‘Reloaded’, with its mid-paced, guitar driven pop-rock. Ty Willman’s voice is at its strongest and has a passionate quality and once Mari Ann joins the chorus for harmony vocals, you get to hear the real potential behind GAQS, not heard much before now. ‘Alligator’ features another of Willman’s best vocal performances, with its mid-paced broodiness; it’s one of the key tracks for spotting how much the band has matured since their formulaic debut. The percussion-less ‘Underwater’ returns to a more atmospheric style with acoustic guitars accompanied by organ sounds; the song itself tinged with sadness and Willman’s voice being well suited to the more wistful nature of the material. The soft ‘Lazy’ works excellently, once again the call-and-response style vocals between Ty Willman and Mari Ann Braden providing its best feature. The album’s best known cut ‘Dizzy’ (as featured in the movie The Basketball Diaries) is one of the album’s more positive moments. As far as this style of nineties power pop is concerned, this is a near-perfect example, with its great rhythm guitars and infectious chorus. Mari Ann’s backing vocals add something here – the combination of male and female voices matched with the feel-good nature of the song should have made this a sure fire hit. ‘Tangled’ has an interesting slightly retro edge – the ringing guitars occasionally have an Allman Brothers tone, even if the musical style doesn’t have anything else in common with Southern Rock. Despite the good arrangement, the song isn’t as memorable as it should be. This album may arrive with a bunch of ideas and influences and seemingly no idea of which direction to go, but it certainly provides more than enough entertainment once it finds its feet. However, the momentum doesn’t last, as it ends in a rather disinterested fashion: ‘Space Cocksucker’ is a woozy funk based instrumental with the focus on rhythm guitar, punctuated by keyboard sounds; this is definitely filler material and ‘Halloween’ is an okay piece of jangle pop (largely based around a simple arrangement played by guitarists Steve Ross and Danny K) which features a good vocal but not much else. After the break-up of GAQS, Ty Willman went on to work with Devilhead (a band featuring Brian Wood of Hater and John McBain of Monster Magnet, Hater and Wellwater Conspiracy). He would also work with MariAnn Braden and Pearl Jam’s Mike McCready in a short-lived project, $10,000 Gold Chain. Steve Ross, meanwhile, joined punk band The Briefs, under the pseudonym Steve E Nix. 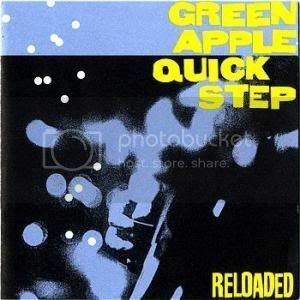 As of March 2010, Willman made a return playing Green Apple Quick Step songs. He hopes that one day the much sought-after third GAQS album will get a proper release. Read the interview with Willman here. Listen to the online stream of ‘New Disaster’ here. Although he’d been previously known for his work with Joshua and Shout in the late 80s, I was a little late in discovering Ken Tamplin, first hearing a track by him on a record company CD sampler in the early part of 1994. After hearing that track (‘Dancing on a Volcano’, from the ‘Tamplin’ LP), I knew I had to hear more of his stuff. Later that same year, a friend lent me a copy of this Magdallan album.He originally lent it to me thinking I’d like it, since he thought the first track was a bit prog-metal influenced. He hadn’t remembered Ken Tamplin was the band’s vocalist! If I’m honest, I still don’t like that opening track, ‘End of the Ages’, much at all. While Ken Tamplin’s voice is strong, the band spends the best part of the track trying to outplay each other at full pelt.While the level of musicianship should be respected, the approach taken seems to be at the expense of the song.While some of Lanny Cordola’s guitar solos here are very good, when they’re combined with the fast rhythm section, it becomes very tiring.As a track, it’s far too demanding on the listener.Hats off to Brian Bromberg, though, for a jaw-dropping bassline. With that out the way, the rest of ‘Big Bang’ is fantastic. If you’re looking for huge melodic rock: look no further!‘Radio Bikini’ (not sure why they chose that name) is the stuff that late 80s rock radio was made of. It couples a huge chorus with a mid-paced rock riff, topped off with the kind of huge harmony vocals which would make Mutt Lange proud. ‘Shake’ opts for a funkier edge, led by bass player Brian Bromberg, whose work here is inspired, since it has a huge presence and manages to firmly stay within the hard rock parameters despite showing a strong funk influence, rather like the work of Marcel Jacob (sadly missed). ‘Wounded Hearts’, a big Whitesnake style ballad, feels much simpler again. It features another top vocal performance from Tamplin.Also less demanding is ‘Love To The Rescue’, a pumping hard rock workout; once again, Cordola grabs an opportunity to really show some chops in the guitar solo department, although unlike most of ‘The End of the Ages’, he’s a bit more restrained. The title cut has a confident swagger and, once again, the multi layered vocals are used to fantastic effect. Bromberg’s bass work goes for a funky edge again here and Lanny turns in an off-kilter guitar solo which raises a smile. This would have been the ultimate attention grabber before the horns were laid on! The Led Zeppelin inspired, acoustic blues stomp of ‘Old Hard Line’ captures the whole band on top form.Tamplin’s blues rock vocal style is faultless, Ken Mary settles into an understated drum groove, Bromberg’s bass playing has warmth, but it’s Lanny who stands out the most: his acoustic work is second to none – really stylish. A few bluesy vibes carry over to ‘Dome of the Rock’, but, this time, the band return to full-on rock mode. Bromberg’s contribution is superb, his busy bass runs lying behind a decent riff laid down by Lanny.Multi-layer vocals are the icing on the cake – somewhere between Queen circa 1974 and early Journey, they turn a decent rock tune into a pomp fan’s dream. Choirs of vocals swamp ‘House of Dreams’, the album’s ultimate lighters-in-the-air big hair rock moment.As with ‘Wounded Hearts’, the slower pace allows Ken Tamplin’s vocal to really shine. Dozens of sampled voices played through a keyboard (a la ‘Leave It’ by Yes) kick off ‘Cry Just a Little’ before things settle into a standard rock groove.Again, the backing vocals are huge and is in good company with the rest of the album. Lanny throws in a really metallic guitar solo – and not to be outdone, Bromberg’s bass playing is really complex throught. Musically, this is quite demanding on the listener, but by this point of the album it shouldn’t be a mystery why these musicians are so well respected by melodic rock fans. 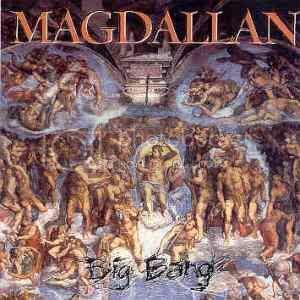 If you’ve never heard ‘Big Bang’ you’ll probably have half an idea what an album featuring Ken Tamplin backed by most of House of Lords could sound like.If you like your melodic rock to be larger than life and well produced (allegedly this cost about a quarter of a million dollars to make), then you’ll love this. 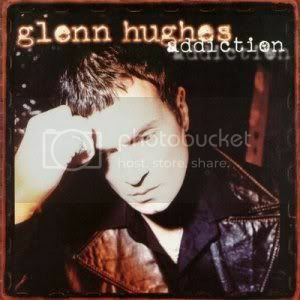 When ‘Addiction’ was originally released in 1996, I wasn’t in much of a position to call myself a Glenn Hughes fan. As far as I was concerned, the Phenomena project felt like an all-chums-in-the-studio-waste of plastic and at that point his solo albums passed me by completely. However, I loved the Hughes/Thrall album and still do. Also, I’d always loved his work with Deep Purple between 1974-1976, so there was always hope for me liking more of his solo output. Having heard his previous solo works, ‘From Now On…’ and ‘Feel’, I had a pre-conceived idea of what to expect when I first put ‘Addiction’ into the CD player. Those pre-conceptions were quickly blown away. The funky influence present throughout ‘Feel’ had gone and the melodic rock edges of ‘From Then On…’ had been toughened up considerably. ‘Addiction’ is heavy at the outset, with classic rock riffs. Some tracks are downtuned in a mid-nineties fashion; this partly helped Glenn’s sound to become slightly more contemporary, which, at the time, wasn’t to everyone’s liking. Personally, I loved these moments. They went a long way towards my finding ‘Addiction’ to be Glenn’s best work in a long while. Other more traditional melodic rock listeners said the heavier tracks were too downtuned, too grunge. I could never see the problem and was always confused as to why some of those people hated grunge so much, especially since about half of ’em loved early Black Sabbath. Fast forward to many years later, ‘Addiction’ still sounds punchy and it’s far less grunge than some of those people claimed. ‘The Death of Me’ is solid 90s hard rock, starting things off in high-gear, with “The Voice” in good form; later in the album, ‘Madelaine’ also demonstrates some top-notch punchiness. Slower tracks ‘Cover Me’ (almost like a really heavy Whitesnake number, but far enough removed from the bluesy edges of Hughes’s Purple work to avoid obvious comparison) and ‘Blue Jade’ allow Hughes to stretch out a little further. Every one of his vocal performances here are winners, even if the material doesn’t always work perfectly. The hard rock, blues edged ‘Justified Man’ and the soulful ‘Talk About It’ are both classic Hughes and likely to be tracks that his more unadventurous fans enjoy the most. It’s with the title track and ‘Down’ though, things get rather heavier. Both feature solid riffs that lean toward the then-alternative rock sound. ‘Down’ in particular, sounds like some of the stuff from the Temple of The Dog album. In fact, there’s a few tracks here I’d like to hear Chris Cornell have a stab at. ‘Not Your Slave’ is a little lighter. With its solid slightly funky bassline, it could’ve easily been on Glenn’s previous albums. Closing the album, ‘I Don’t Want To Live That Way Again’ is a haunting, slow piece dealing with Glenn’s past and subsequent rehab. While a fitting end here, it’s never matched the hard rock moments for me. Glenn deserves praise for releasing such a tough sounding album; it sounds as sharp as it did when it first came out. It was never going to win him any new fans though, despite the heavier approach. A great pity, since this and Dio’s similarly heavy ‘Angry Machines’ album (released at a similar time) could have been a surprise to those who’d assumed that such artistes had become an irrelevance in the 90s.